We are proud to announce that Jean-Paul Jauffret will leading as Head of Professional Department KRAVolution now. 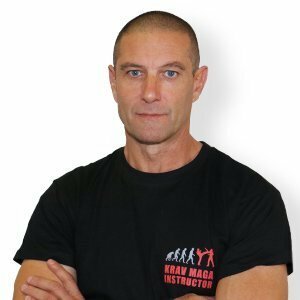 In his field he is the world’s most sought-after Krav Maga Expert! 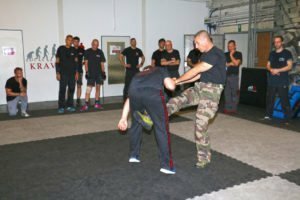 With more than 20 years of Krav Maga experience and specialization in Close Protection and Tactics for Police, Military and Counter-Terrorism (SWAT, Military Special Units) he is one of the very best Krav Maga trainer and tactical consultants. 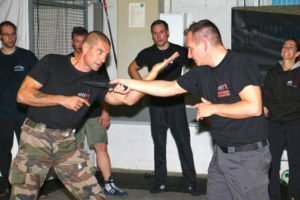 He also teaches tactical Krav Maga for the 1st and 2nd Regiments of the French Foreign Legion including their elite 2nd Régiment Étranger Parachutiste (REP) in Corsica and as a former Police-Chief he is one of the best Krav Maga Experts in the world! In the future he will enriches with his expertise KRAVolution and trains people around the world. We looking forward to a common future, to the evolution of Krav Maga!